Spring Has Sprung - So What&apos;s the Best Grass Seed for My Lawn? In earlier times, the vernal equinox was an important day to those who worked the land because it signified the beginning of the season of regeneration and growth. 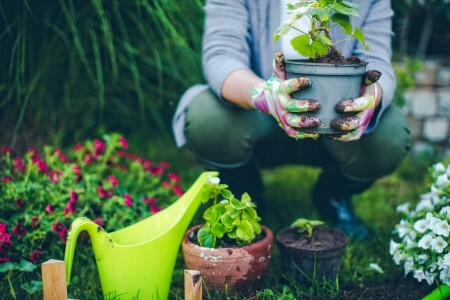 And just like generations past, many homeowners are starting to think about getting their yards in shape for the season with the first day of spring just a day away. If you’re going to use this seasonal marker to launch your spring yard work by planting some grass seed, the experts at pennington.com say matching the best cool- or warm-season grasses to your growing region is critical. Northeast lawns need grasses that prefer cool temperatures and naturally resist diseases prevalent in this region like bluegrasses, ryegrasses and fescues. While seasonal fluctuations across the Midwest demand grasses that thrive in cool climates like bluegrasses, ryegrasses and fescues as well. Bermudagrass is the leading lawn grass in the Southeast and across the U.S. southern tier according to Pennington with its tolerance for salt, heat and drought. And where high heat and humidity intensify in the Deep South and Gulf Coast, Pennington says Bahiagrass and Centipedegrass are common. Pennington’s researchers at Oregon State University peg ryegrasses as being the best for the rainy coastal West/Northwest region. Fine fescues with greater cold and shade tolerance than tall fescue grasses also excel. Then there’s the transition zone from the Atlantic Coast west through Kansas, where different climatic zones—cool, warm, humid and arid—all collide. One answer is Zoysia grass with its tolerance for cold. Pennington says low-growing and deep-rooted, water-wise Zoysia grass teams fine to medium texture with excellent traffic tolerance and low maintenance.